Contact closes on normal flow. Simple switch output to alarm Panel or PLC. Flow rates up to 34 l/min. Switch rates down to 50 ml/min. PVC and Polypropylene contact materials as standard. Inlet and Outlet ports 3/8″ ½” and 1″ socket unions. Easily fitted into pipework with flow falling to drain. Larger sizes and alternative port configurations available. 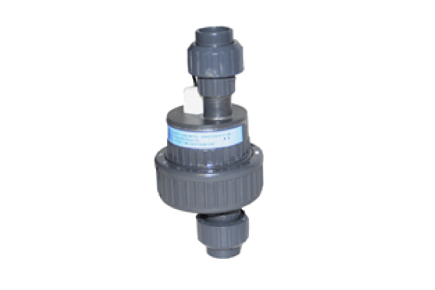 Designed to monitor the output flow of water quality analysers.